> Do you know of any channel that goes into details on this? Several, and a few single videos from some decent channels, too. https://www.youtube.com/watch?v=MlnnWbkMlbg ...There's a "B" part video, but I like this one the best. Here's one of my favorite channels. I'm linking his playlists; his 3-video playlist about the Book of Jonah is SO enlightening! Those links will take you to other books which you may find interesting, too. OP, and anyone else interested, I have complied some references concerning the pre-monotheistic worship of the God YHWH. Would you like to know more on the essential polytheistic origin of the God Yahweh with evolution into a monotheism? And how this monotheistic claim grew out of it's essential polytheism (a process of convergence, differentiation and displacement (synthesis and syncretism) of the many Gods into a claim of only [and always] one God)? Are Yahweh and El the same god OR different gods? A recent discussion in /r/AcademicBiblical, Was Yaweh originally a member of a pre-Judaic pantheon of gods?, by /u/koine_lingua, also addresses the origin of YHWH. Note: Concerning Karen Armstrong's, A History of God: The 4,000-Year Quest of Judaism, Christianity and Islam, a criticism of the book that I have received (and have not yet reread the relevant sections of the book), is that "armstrong spends about half a chapter on this particular topic, and in my opinion, doesn't do a very good job of it. she does stuff like assume that abraham was a real person, and anachronistically apply later theology as if it was some indicative of earlier theology -- late first temple yahweh had aspects of a war god, so early yahweh must have as well. and that just doesn't follow at all." The most foundational belief in Judaism, Christianity, Islam includes the essential attribute that Yahweh/YHWH/YHVH, God, or Allah, is that "God" exists and there is the only one true revealed God (monotheism) - or monotheistic Yahwehism. As this is the core of the Tanakh (Judaism), Bible (Christianity), and Qur'an/Koran (Islam), questions concerning the source of, and the validity of, this monotheistic Deity belief would raise significant doubt as to the existence of this God, the various Holy Book's validity as the word of God/Yahweh/Allah and to the very foundation of these belief systems. These core scriptural documents also establish the precept and precedent accepting predecessor society/culture holy scripture and documentation of revealed Yahwehism and integrating and propagating core attributes and beliefs (though with some variation and conflict with peripherals). Yet, within the Holy Scriptures of predecessor Babylonian, Ugarit and Canaanite, and early Israelite religions/societies/cultures, the evidence points to the evolution and growth in the belief of the monothesitic Yahweh Deity from a polytheistic foundation of the El El Elyon God pantheon. Yahweh (one of many sons of El) was a subordinate fertility/rain/warrior local desert God whom, through a process of convergence, differentiation and displacement (synthesis and syncretism), was elevated from polytheism to henotheism (a monolatry for Yahweh; Yahweh is in charge, there are other Gods to worship) to an aggressive monolatrist polytheistic belief (Yahweh is the most important God, there exists other Gods but worship of these other Gods is to be actively rejected) to, finally, a monotheistic belief system (there is and, somehow, always has been, only Yahweh) as documented in the revealed holy scriptures of these religions and cultures that directly influenced and/or became the Biblical Israelites. Traces of the foundational polytheistic (many many gods, El is in charge) belief, and it's evolution into a man-driven politically and militarily motivated monolatry for Yahweh (Yahweh is in charge, acknowledgement of other gods) to monotheistic Yahwehism (where Yahweh is and, somehow, always been the one and only god “There is no god but Allah”/“You shall have no other gods before Me"), litter the Torah and Old Testament of the Bible which survived editing and redaction. To a lesser extent (as it is based upon already redacted material and with better editing/explicit rationalizations already included) the New Testament and Qur'an also show linkages to this foundational polytheistic belief. Given that the tradition of monotheistic Yahwehism is the essential foundation of the Abrahamic Religions, this falsehood propagates to any/all doctrine/dogma/claims dependent/contingent upon this foundation - rendering the existence of this God, and these religious tenets/doctrine/dogma/"truths", at best, demonstratively invalid; and nominally, morally and culturally reprehensible. With the dubious claim of monotheistic Yahwehism that the Abrahamic God is based upon, and that serves as the most essential foundation of the Tanakh/Bible/Qur'an narrative, then any claim that the Tanakh/Bible/Qur'an is valid as a source for any "truth" or "knowledge" concerning the existence of monotheistic Yahweh/Allah, and, Jesus the Christ, is at best, highly questionable and suspect, and nominally, completely "non-truthful." A potential refutation: The attribute of monotheism is not applicable to the construct/definition/description of the God Yahweh. Response: Conditionally accepted (against a proof presentation that Judaism/Christianity/Islam do not include monotheism of YHWH as an essential or required attribute/predicate) - with the result that Judaism, Christianity, and Islam, are false Theistic Religions and that adherents to these Theistic Religions are wrong. OP, can you refute the above arguments against the existence of God? > Maybe my point isn't clear. By the way, in case you are interested, there is quite a bit of history and historical assessment to support the 'evolution' or convergence of a large polytheistic Pantheon belief (the 'El' polytheistic pantheon, where El is the Father God/God Most High), and which included the second tier God YHWH/Yahweh, in the pre-/early Israelite societies. "You shall have no other gods before me” is tacit admission that there are other Gods, and that Yahweh is the top God in the polytheistic henotheism. And at the time of the authorship of this verse (Exodus 20:2 and Deuteronomy 5:6) the transition of the inherent polytheism of Yahweh worship in a process of convergence, differentiation and displacement (synthesis and syncretism), which was elevated from polytheism to henotheism (a monolatry for Yahweh; Yahweh is in charge, there are other Gods to worship) to an aggressive monolatrist polytheistic belief (Yahweh is the most important God, there exists other Gods but worship of these other Gods is to be actively rejected) to, finally, a monotheistic belief system (there is and, somehow, always has been, only Yahweh) was not yet complete. Traces of the foundational polytheistic (many many gods, El is in charge) belief, and it's evolution into a man-driven politically and militarily motivated monolatry for Yahweh (Yahweh is in charge, acknowledgement of other gods) to monotheistic Yahwehism (where Yahweh is and, somehow, always been the one and only god “There is no god but YHWH/Allah”/“You shall have no other gods before Me"), litter the Torah and Old Testament of the Bible which survived editing and redaction. To a lesser extent (as it is based upon already redacted material and with better editing/explicit rationalizations already included) the New Testament and Qur'an also show linkages to this foundational polytheistic belief. Given that the tradition of monotheistic Yahwehism is the essential foundation of the Abrahamic Religions, this falsehood propagates to any/all doctrine/dogma/claims dependent/contingent upon this foundation - rendering the existence of this God, and these religious tenets/doctrine/dogma/"truths", at best, demonstratively invalid; and nominally, morally and culturally reprehensible. No worries. But showing your current point of view and/or beliefs allows readers to better understand the context of your question to (hopefully) assist in providing a better contextual response. Consider, if you want to, editing your original topic submission statement with some of the background you have presented above for all to see (easier). > If he created galaxies and billions of billions of stars and planets, why should I question some of his reasoning behind things such as the problem of evil. 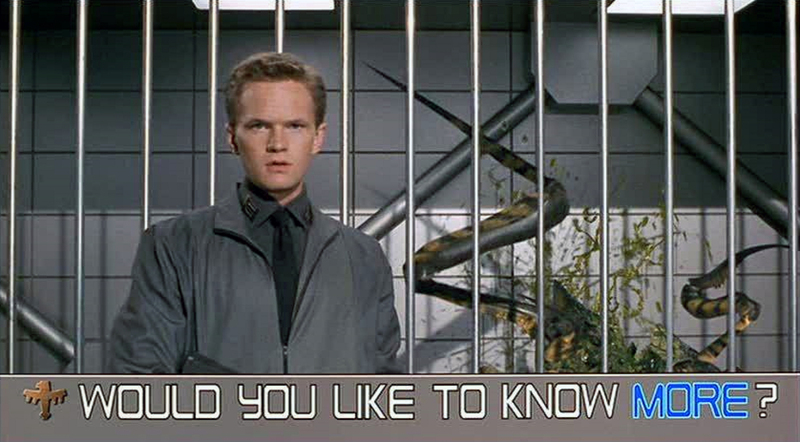 > I wanted to find more questions and over time, see if I can find answers to them..or not. Against the history of worship of the God Yahweh, is the construct of monotheistic Yahwehism supportable as an actual historical fact when extra-Biblical scriptures and narratives are including in the history of the God Yahweh? Another question to consider - using the Bible canon narratives alone, what references to the development of the construct of monotheistic Yawhehism are present to support a hypothesis that Yahweh is part of a polytheistic pantheon of Gods and that Yahweh is not the highest ranked God in this polytheistic pantheon? 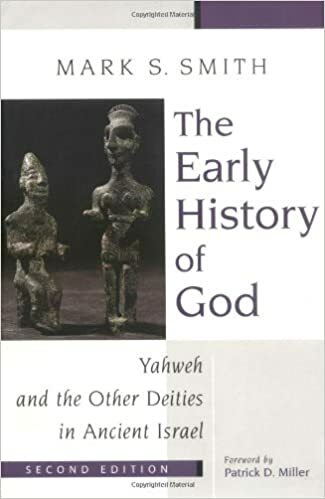 The Early History of God: Yahweh and the Other Deities in Ancient Israel by Mark S. Smith. The Origins of Biblical Monotheism: Israel's Polytheistic Background and the Ugaritic Texts also by Mark S. Smith. Did God Have a Wife? : Archaeology and Folk Religion in Ancient Israel by William G. Dever. nukeDmoon, step up your game! Just say "no" to low effort posts! > I used to be christian as well. And what are you now? And was there a compelling argument that started you on the path to be an ex-Christian? If so, what was it? Also, what is the most compelling argument you posit to make a Christian (sect dependency??) doubt Christianity? Join in the debate/discussion you started. As for me, I don't make any arguments with intent to make a Christian doubt their beliefs. Instead, I encourage them to study the history and basis for the development of Judaism, and from there Christianity, using the Socratic method. Here is an example: What is the history of the God Yahweh, and worship of Yahweh, pre-Babylon captivity/exile? In orther words, how did the construct of monotheistic Yahwism/Yahwehism develop into what is presented in the Bible and accepted in Christianity? > You also have teachings who's origin are not necessary Jewish but are Canaanite and mythology based beliefs showing up in Biblical prophesies. Actually, it can be - at least in the case of the Abrahamic religions and their gods. You'll notice I used the plural term there - godSSSSSS. There are actually several gods - deities - incorporated into the bible's forms of worship. You won't learn about this from any Watchtower Society literature, because the Watchtower Society's bible "translations" fail to use the oldest manuscripts and information available nowadays. Plus, it's in their interest to keep average Jehovah's Witnesses from knowing that there are several gods incorporated into a supposedly "one" god, in the bible. First, "Jehovah" is a mistranslation of the YHWH consonants with the vowels of the title "Elohim". There are two "names" for the Hebrew god, right there. Although if one traces the origins of the name/term "Elohim" back to its CANAANITE roots, one finds that "Elohim" originally was PLURAL, in the Canaanite language & polytheistic belief system. >The Canaanite pantheon was conceived as a divine clan, headed by the supreme god El; the gods collectively made up the elohim. Then there's the Canaanite patriarchal god "EL" - as in Isra-EL, Beth-EL, Samu-EL, Dani-EL, and so on. The OLDER Canaanite patriarchal god EL is deeply incorporated into the Israelite/Hebrew culture - and the bible itself. >Second, there exist numerous parallels and similarities between descriptions and cultic terminology used for El in the Canaanite texts and those used for Yahweh in the biblical sources (see below). At some point, it is ascertained, the cultic worship of Yahweh must have absorbed that of El, through which means Yahweh assimilated both the imagery and epithets once used of El.